It is the Divine Message that matters the most, not the divine messenger. Subject: It is the Divine Message that matters the most, not the divine messenger. > and that you don't have to be devotional. Is this not a lie? sincerely in search of the Truth. ....... only to confirm that the Divine Wind flowing from within myself is the sure sign for those taking part in the Last Judgment and Resurrection. Shri Mataji never made this up - check the Bible and Quran and you may confirm the same Cool Breeze. It is indeed a lie that "you can just try out the meditation and that you don't have to be devotional." The SY who told you that is also a liar. i don't understand how these people can preach falsehood just to attract seekers. Honestly, sometimes i am ashamed to call myself a SY but have no choice because i KNOW what Sahaja Yoga is all about. When the Goddess within, not the physical Shri Mataji, continues to reveal Herself in my children's Sahasara after more than a decade there is absolutely no reason or possibility to abandon my faith in Her ................. and Her message of the Great Event for humanity. WHAT IS A SAHAJA YOGI? B: HOW TO KNOW WHERE YOU ARE? WHEN ARE WE GOING TO GROW? GURU PUJA: WHY IN UK? A: ARE YOU WORTH OF CHRIST? sincerely in search of the Truth." 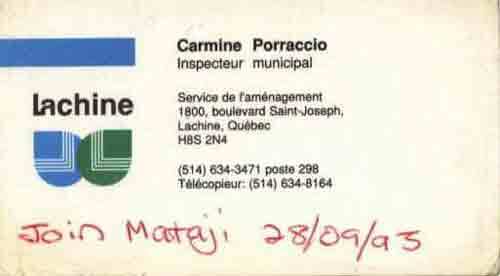 down September 28, 1993 but only found nearly a year later. That was 1993 and i have provided evidence of the fateful night. No matter how cynical, confused or disenchanted one may be about SYs, Shri Mataji or this organization there is denying that She has done Her job about announcing the Great Event to humanity. It is the Divine Message that matters the most, not the divine messenger. It is the inner guidance of the Goddess that matters most, not attention on Her aging incarnation as Shri Mataji Nirmala Devi. Learn from the mystics banished for what they know and proclaim, not the ignorant, cowardly priests who rule the collective temples.